12 South is one of the many areas in Nashville that is seeing tremendous growth. 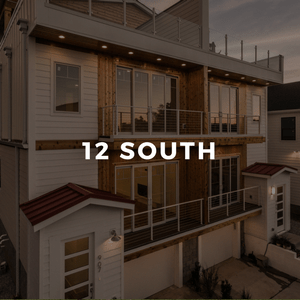 If you want to be close to all the excitement, but would like a traditional home in a quiet yet hip neighborhood, then 12 South will be a perfect fit. Unlike, some of the surrounding urban neighborhoods, 12 South provides a great environment for those who are either looking to raise a family or just want to be a part of one of the hottest areas in Nashville. The housing mainly consists of single family homes or attached town homes, but there are plans to offer more housing options. The data relating to real estate for sale on this web site comes in part from the Internet Data Exchange Program of RealTracs Solutions. Real estate listings held by brokerage firms other than Layson Group - Keller Williams are marked with the Internet Data Exchange Program logo and detailed information about them includes the names of the listing brokers. One of 12 South’s greatest amenities is Sevier Park, which is very popular with the local residents. If you’re still looking for night life after a day at the park, 12 South Tap Room and Mafiaoza’s are neighborhood staples that should do the trick for you. Also, nearby neighborhoods like Downtown Nashville, The Gulch, Midtown and Demonbreun are just a short cab ride away if you get the itch for something different. For those that are looking to slow down a little and sip on a great cup of coffee or brew (they allow BYOB with no corking fee!) the Frothy Monkey in 12 South is an excellent choice. If all of this was not enough to convince you that this truly is an enjoyable community to live in, 12 South was also featured in Southern Living as one of the South’s Best Neighborhoods. To learn more about other great neighborhoods in the area, check out our guide to The Best Places to Live in Nashville.